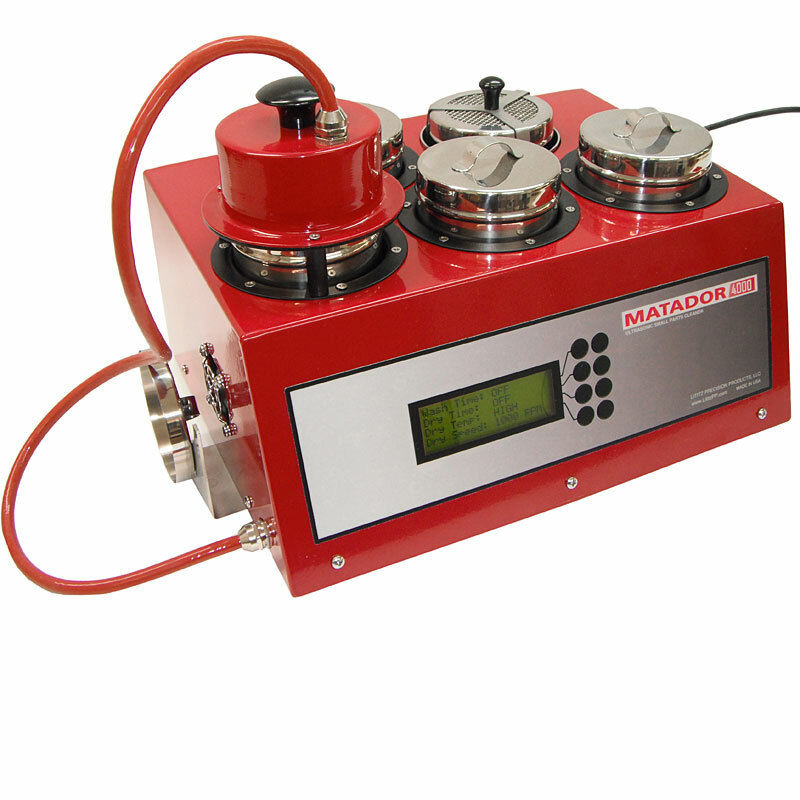 The Matador ultrasonic watch and small parts cleaner is the ultimate in manual watch cleaning machines. 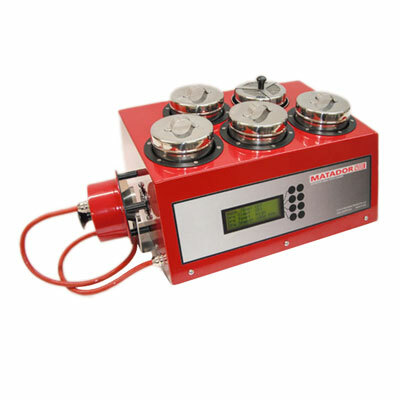 It consists of four stainless steel cleaning/rinsing cups with one movable ultrasonic transducer head and a variable speed/variable temperature dryer. Small 8 oz. cup size for economical cleaning solution utilization. The microprocessor controls all machine functions including the dryer, ultrasonic head, and the dual timers. 1 year parts and labor warranty. See specifications for more details. Audible alert when cycle is finished. Available in 120 and 240 volt for worldwide operation.